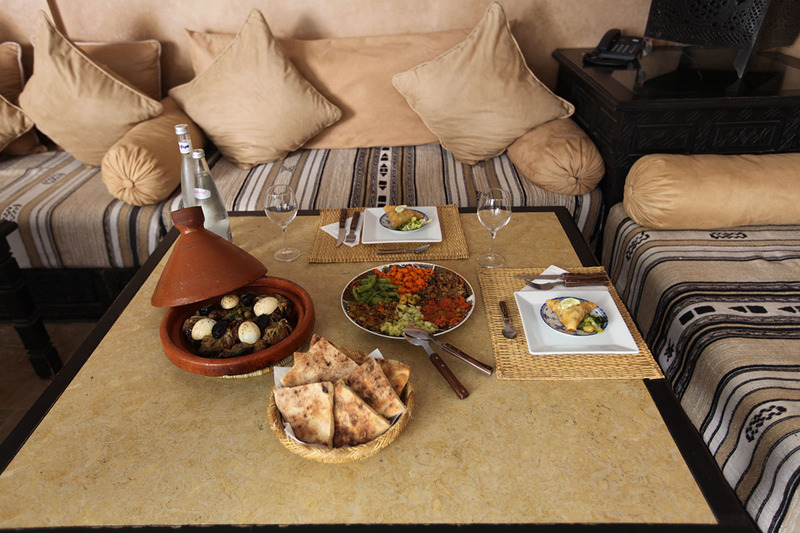 Every evening we offer a delicious three course set-menu based on Moroccan cuisine. Vegetarian options are available. 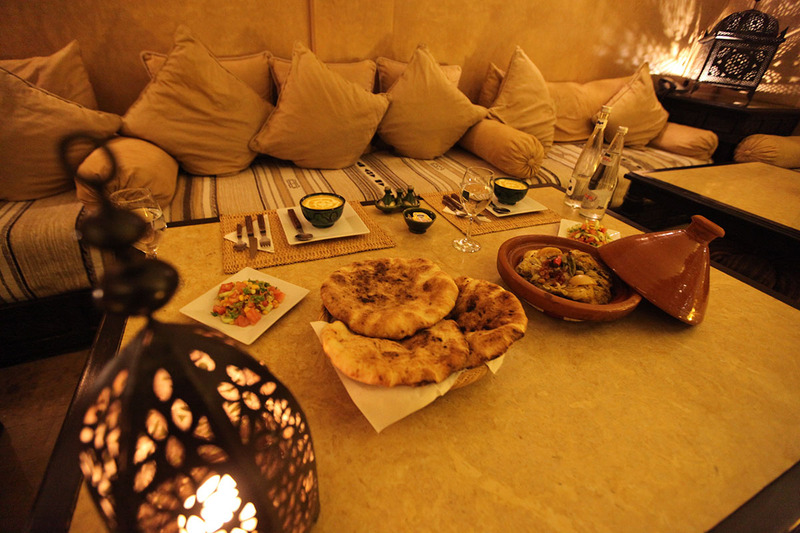 Complimentary Moroccan mint tea or verveine infusion is served after dinner. Romantic and social dinners are served by the pool. Ambient lighting and candle lanterns enhance your dining experience. During winter the open fireplace adds an extra cozy charm. Dinner reservations are essential. Orders should be confirmed before midday. Tables are limited and priority is given to our in-house guests. Lunch reservations are essential. Orders should be confirmed before 6pm one day in advance. Tables are limited and priority is given to our in-house guests. Start your day with our nutritious and satisfying breakfast, complimentary for our guests. During warmer months breakfast is served on the relaxing rooftop terrace. Energise yourself under the gentle morning sun. Take in the ocean views across the jumbled village rooftops. Breakfast is served around the pool courtyard during cooler months. Where you will enjoy cozy alfresco dining next to the crackling open fire. Help yourself to a selection of tea, coffee and hot chocolate. Fresh fruit basket, yoghurt and cereals are available on the buffet. Fresh orange juice, bread basket, plus a baked/pastry item of the day with condiments are served to your table. Fresh eggs are cooked to order. Alcohol is not available for purchase here at the riad. Guests are welcome to bring their own wine or beer if desired. Corkage fee: €2/25dh per person applies. Lunch is currently only available for exclusive group bookings, please enquire.